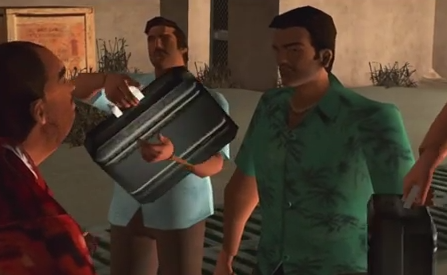 A sneak peak at the opening sequence of the mobile version of GTA Vice City. If you're on the fence about downloading the mobile version of Grand Theft Auto: Vice City, check out the gameplay intro to Tommy Vercetti. Brings back lots of happy memories.